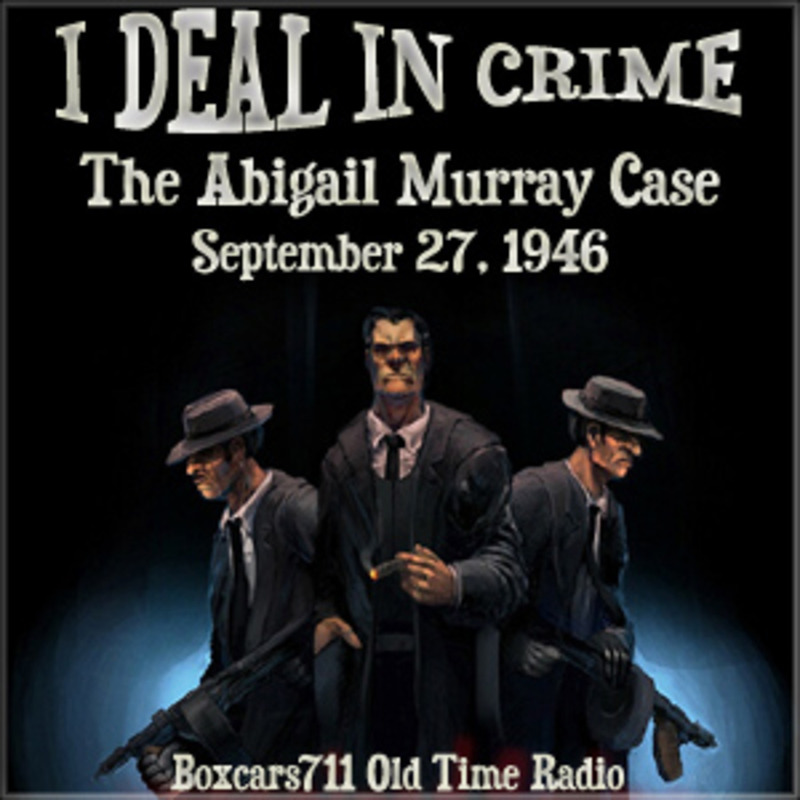 I Deal in Crime ran for almost two years on ABC network radio and starred the very capable radio and Hollywood actor, William Gargan. In this, one of his many PI radio series (he's best known, of course, for his role as Martin Kane), Gargan played ROSS DOLAN, described as a veteran detective who returned to his sleuthing job after his WW II service as a sailor. Or as Dolan puts it, "a hitch in Uncle Sugar's Navy." This series was written by Ted Hediger and directed by Leonard Reeg. The show's announcer was Dresser Dahlstead and Skitch Henderson (later to win fame on television) handled the music. The show began in January 1946 and ran as a 30 minute show, first on Monday nights but for the last eleven months on Saturday evenings. It ended in October 1947; a total of only three episodes have survived and are being traded among collectors. THIS EPISODE: September 27, 1946. "The Abigail Murray Case" - ABC network. Sustaining. Ross Dolan is hired by Miss Abigail Murray to drive her around town. She's received a letter that says she'll be murdered tonight. A good murder mystery with lots of gunplay, dead bodies and conks on the head. The system cue has been deleted. Skitch Henderson (composer, conductor), Ted Hediger (writer, director), Rudy Schrager (music arranger, conductor), William Gargan, Dresser Dahlstead (announcer). 32:36. Episode Notes From The Radio Gold Index. 3726 episodes available. A new episode about every 5 hours averaging 29 mins duration .